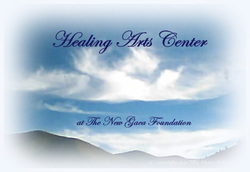 ​It is the endeavor of the Healing Arts Center to offer a variety of courses and classes which will provide ample opportunities for those searching for Healing, self-Transformation, the ability and knowledge to help others, and those who simply wish to learn and grow in their own spiritual journeys. It is our intent to provide an atmosphere in which people can Heal, evolve, and Transform at the levels of the human being, Spirit, and Soul. Each of our courses and classes offers tremendous opportunities in this respect. All of the educational and training opportunities we offer have been inspired and are directed by the Great Mother (Universe/Creator) and her Archangels, sometimes including Mother Earth/Sister Gaea and Father Sun/Brother Helios as well. Throughout the courses and classes, you will find the influence of the Archangelic Council (Michael, Raphael, Gabriel, Uriel, Metatron, Agahaphiel, and the Archangels of Love, Vision, Truth, Abundance, Cosmic Affairs, and Physical Principalities).These classes and courses are deeply Spiritual, however, we reflect no affiliation with organized religions. We honor all Spiritual traditions, so long as they do not infringe upon the rights or Free Will and Choice of others, or break the laws of the land or the Universe. In the words of Archangel Michael, “We are not about religion. We are about Love, Healing, and Understanding.” These Transformational tools are gifts from the Great Mother to be used to Transform and Heal ourselves, each other, our environment, our planet, and beyond. We are pleased to introduce One Heart Touch® in its initial presentation to humanity. It is truly an incredible gift from the Archangelic Council and the Great Mother. Humanity has evolved in body and consciousness, and it is time for our Healing and evolutionary practices and information to reflect these changes. One Heart Touch® is the tool given to us to address them. We know it will profoundly change the lives of those who share in it as a practitioner or as a recipient of it. As we all Transform ourselves, we build - through our energies, our lives, and our connections with others - a society based in Love, Joy, Truth, and Peace. In this manner, we can all – one by one – be a part of lifting our world out of its fear-based existence. Together, we can join in a state of Oneness, united in Love and common Understanding, offering each to the other acceptance, respect, and Support. Through this Oneness, we can Transform our world into a reality of Love, Peace, Truth, Joy, Harmony and Abundance for all. Let us all live together as we were created – by Love, with Love, and for Love – as we are all One Love created by One Heart. here or just use the drop down menu. We encourage all those interested in learning through the Healing Arts Center to read our "Note from the Executive Director for Prospective Students".